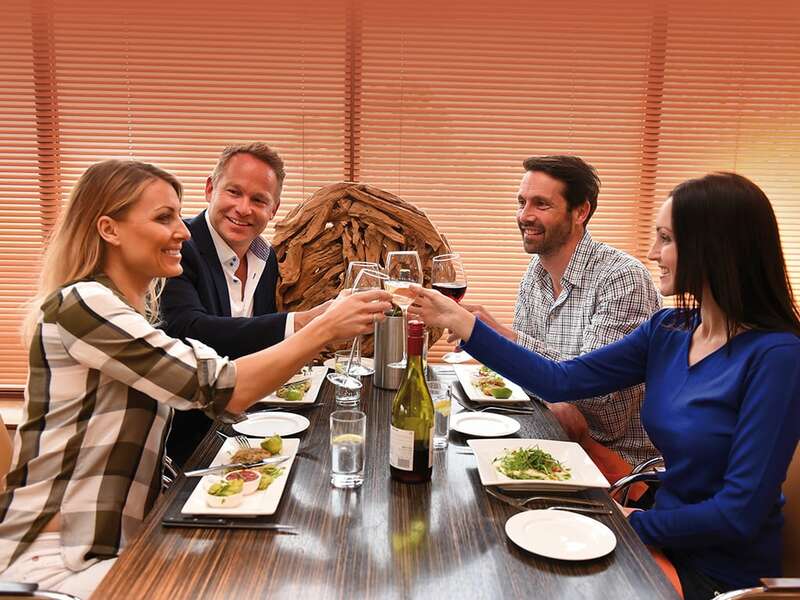 Launched at Potters Resort in February 2010, The Black Rock Grill is a social dining experience like no other, perfect for get-togethers with friends and family in a contemporary setting overlooking the Norfolk coast. The fixed-price menu offers a delicious choice of satisfying starters, indulgent desserts and the unique Black Rock main course. This is what really ignites the Black Rock experience, as a selection of the finest quality fillets, seafood and shellfish which are presented to your table along with your own volcanic ‘Hot Rock’ on which you cook the ingredients exactly to your own taste. You are guaranteed not to leave hungry as the main courses can keep coming until you tell us otherwise! No oils or fat are used, ensuring your food is both tasty and healthy. After your meal you can even head over to the main complex at Potters Resort to enjoy live entertainment in our state-of-the-art Atlas Theatre*, followed by the best late-night entertainment in our Terrace Bar or Gallery Lounge. The Black Rock Grill is open five nights a week, from Wednesday to Sunday, and is the perfect place for your celebration, party, office meal, family get-together or just a great meal out. Find out more at www.theblackrockgrill.com.